spring.kafka.admin.client-id= # ID to pass to the server when making requests. Used for server-side logging. spring.kafka.admin.fail-fast=false # Whether to fail fast if the broker is not available on startup. 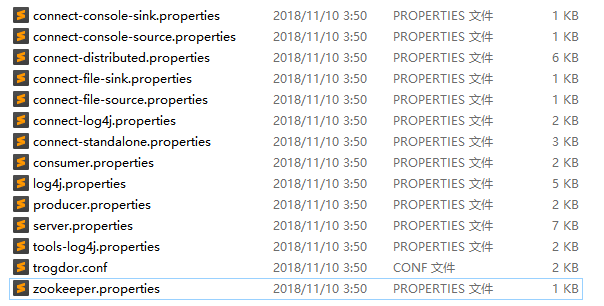 spring.kafka.admin.properties. *= # Additional admin-specific properties used to configure the client. spring.kafka.admin.ssl.key-password= # Password of the private key in the key store file. spring.kafka.admin.ssl.key-store-location= # Location of the key store file. spring.kafka.admin.ssl.key-store-password= # Store password for the key store file. spring.kafka.admin.ssl.key-store-type= # Type of the key store. spring.kafka.admin.ssl.protocol= # SSL protocol to use. spring.kafka.admin.ssl.trust-store-location= # Location of the trust store file. spring.kafka.admin.ssl.trust-store-password= # Store password for the trust store file. spring.kafka.admin.ssl.trust-store-type= # Type of the trust store. spring.kafka.bootstrap-servers= # Comma-delimited list of host:port pairs to use for establishing the initial connections to the Kafka cluster. Applies to all components unless overridden. spring.kafka.client-id= # ID to pass to the server when making requests. Used for server-side logging. spring.kafka.consumer.auto-commit-interval= # Frequency with which the consumer offsets are auto-committed to Kafka if 'enable.auto.commit' is set to true. spring.kafka.consumer.auto-offset-reset= # What to do when there is no initial offset in Kafka or if the current offset no longer exists on the server. spring.kafka.consumer.bootstrap-servers= # Comma-delimited list of host:port pairs to use for establishing the initial connections to the Kafka cluster. Overrides the global property, for consumers. spring.kafka.consumer.client-id= # ID to pass to the server when making requests. Used for server-side logging. 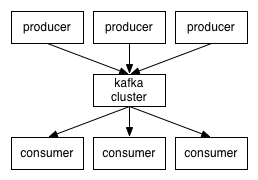 spring.kafka.consumer.enable-auto-commit= # Whether the consumer's offset is periodically committed in the background. spring.kafka.consumer.fetch-max-wait= # Maximum amount of time the server blocks before answering the fetch request if there isn't sufficient data to immediately satisfy the requirement given by "fetch-min-size". spring.kafka.consumer.fetch-min-size= # Minimum amount of data the server should return for a fetch request. spring.kafka.consumer.group-id= # Unique string that identifies the consumer group to which this consumer belongs. spring.kafka.consumer.heartbeat-interval= # Expected time between heartbeats to the consumer coordinator. spring.kafka.consumer.key-deserializer= # Deserializer class for keys. spring.kafka.consumer.max-poll-records= # Maximum number of records returned in a single call to poll(). spring.kafka.consumer.properties. *= # Additional consumer-specific properties used to configure the client. spring.kafka.consumer.ssl.key-password= # Password of the private key in the key store file. spring.kafka.consumer.ssl.key-store-location= # Location of the key store file. spring.kafka.consumer.ssl.key-store-password= # Store password for the key store file. spring.kafka.consumer.ssl.key-store-type= # Type of the key store. spring.kafka.consumer.ssl.protocol= # SSL protocol to use. spring.kafka.consumer.ssl.trust-store-location= # Location of the trust store file. spring.kafka.consumer.ssl.trust-store-password= # Store password for the trust store file. spring.kafka.consumer.ssl.trust-store-type= # Type of the trust store. 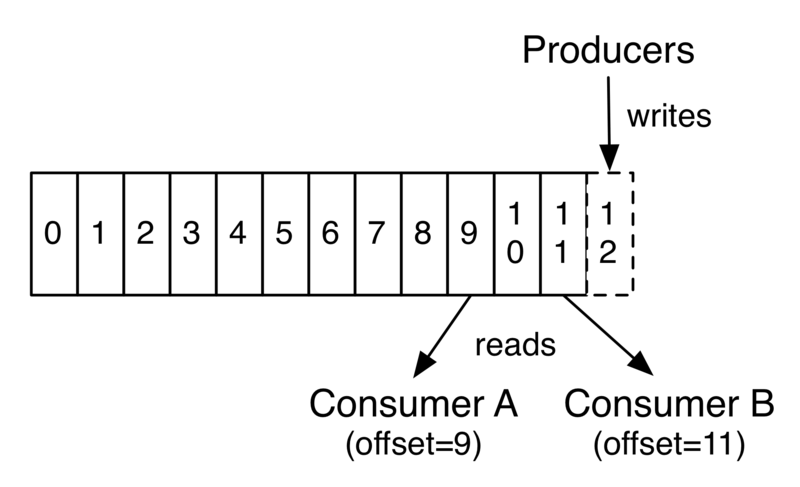 spring.kafka.consumer.value-deserializer= # Deserializer class for values. spring.kafka.jaas.control-flag=required # Control flag for login configuration. spring.kafka.jaas.enabled=false # Whether to enable JAAS configuration. spring.kafka.jaas.options= # Additional JAAS options. spring.kafka.listener.ack-mode= # Listener AckMode. See the spring-kafka documentation. spring.kafka.listener.ack-time= # Time between offset commits when ackMode is "TIME" or "COUNT_TIME". spring.kafka.listener.client-id= # Prefix for the listener's consumer client.id property. spring.kafka.listener.idle-event-interval= # Time between publishing idle consumer events (no data received). spring.kafka.listener.log-container-config= # Whether to log the container configuration during initialization (INFO level). spring.kafka.listener.monitor-interval= # Time between checks for non-responsive consumers. If a duration suffix is not specified, seconds will be used. spring.kafka.listener.no-poll-threshold= # Multiplier applied to "pollTimeout" to determine if a consumer is non-responsive. spring.kafka.producer.acks= # Number of acknowledgments the producer requires the leader to have received before considering a request complete. spring.kafka.producer.batch-size= # Default batch size. spring.kafka.producer.bootstrap-servers= # Comma-delimited list of host:port pairs to use for establishing the initial connections to the Kafka cluster. Overrides the global property, for producers. spring.kafka.producer.buffer-memory= # Total memory size the producer can use to buffer records waiting to be sent to the server. spring.kafka.producer.client-id= # ID to pass to the server when making requests. Used for server-side logging. spring.kafka.producer.compression-type= # Compression type for all data generated by the producer. spring.kafka.producer.key-serializer= # Serializer class for keys. spring.kafka.producer.properties. *= # Additional producer-specific properties used to configure the client. spring.kafka.producer.retries= # When greater than zero, enables retrying of failed sends. spring.kafka.producer.ssl.key-password= # Password of the private key in the key store file. spring.kafka.producer.ssl.key-store-location= # Location of the key store file. spring.kafka.producer.ssl.key-store-password= # Store password for the key store file. spring.kafka.producer.ssl.key-store-type= # Type of the key store. spring.kafka.producer.ssl.protocol= # SSL protocol to use. spring.kafka.producer.ssl.trust-store-location= # Location of the trust store file. spring.kafka.producer.ssl.trust-store-password= # Store password for the trust store file. spring.kafka.producer.ssl.trust-store-type= # Type of the trust store. spring.kafka.producer.transaction-id-prefix= # When non empty, enables transaction support for producer. spring.kafka.producer.value-serializer= # Serializer class for values. spring.kafka.properties. *= # Additional properties, common to producers and consumers, used to configure the client. spring.kafka.ssl.key-password= # Password of the private key in the key store file. spring.kafka.ssl.key-store-location= # Location of the key store file. spring.kafka.ssl.key-store-password= # Store password for the key store file. spring.kafka.ssl.key-store-type= # Type of the key store. spring.kafka.ssl.protocol= # SSL protocol to use. spring.kafka.ssl.trust-store-location= # Location of the trust store file. spring.kafka.ssl.trust-store-password= # Store password for the trust store file. spring.kafka.ssl.trust-store-type= # Type of the trust store. spring.kafka.streams.application-id= # Kafka streams application.id property; default spring.application.name. spring.kafka.streams.auto-startup=true # Whether or not to auto-start the streams factory bean. spring.kafka.streams.bootstrap-servers= # Comma-delimited list of host:port pairs to use for establishing the initial connections to the Kafka cluster. 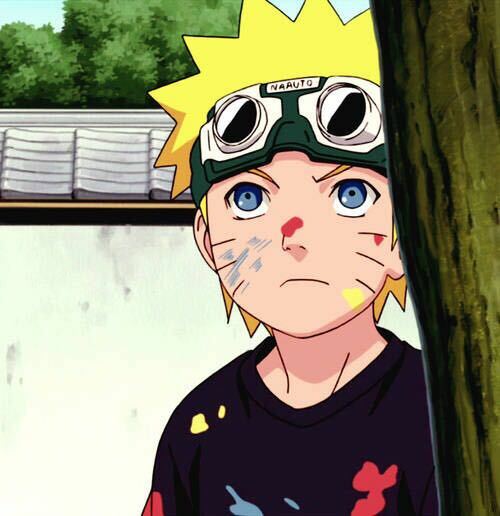 Overrides the global property, for streams. spring.kafka.streams.cache-max-size-buffering= # Maximum memory size to be used for buffering across all threads. spring.kafka.streams.client-id= # ID to pass to the server when making requests. Used for server-side logging. spring.kafka.streams.properties. *= # Additional Kafka properties used to configure the streams. spring.kafka.streams.replication-factor= # The replication factor for change log topics and repartition topics created by the stream processing application. spring.kafka.streams.ssl.key-password= # Password of the private key in the key store file. spring.kafka.streams.ssl.key-store-location= # Location of the key store file. spring.kafka.streams.ssl.key-store-password= # Store password for the key store file. spring.kafka.streams.ssl.key-store-type= # Type of the key store. spring.kafka.streams.ssl.protocol= # SSL protocol to use. spring.kafka.streams.ssl.trust-store-location= # Location of the trust store file. spring.kafka.streams.ssl.trust-store-password= # Store password for the trust store file. spring.kafka.streams.ssl.trust-store-type= # Type of the trust store. spring.kafka.streams.state-dir= # Directory location for the state store. 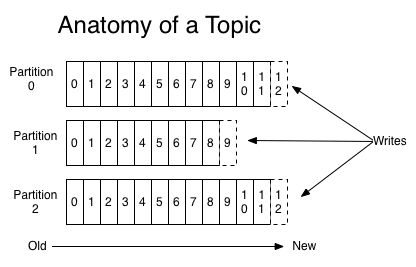 spring.kafka.template.default-topic= # Default topic to which messages are sent.